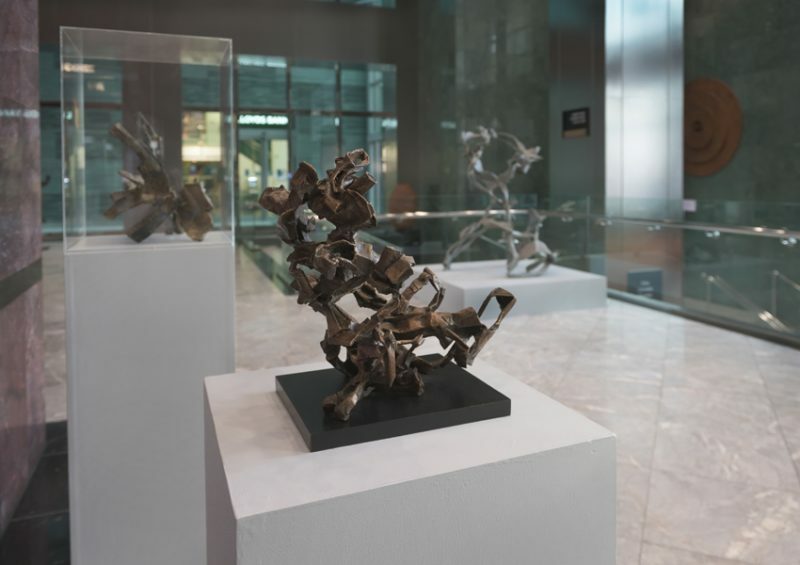 A major retrospective of the work of sculptor Katherine Gili is on show at One Canada Square. Faversham Life visits. 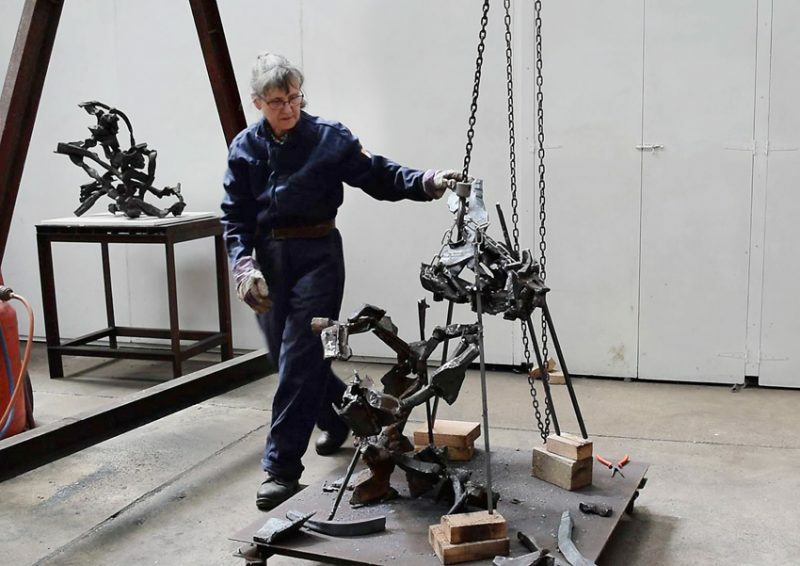 Katherine Gili is a sculptor in steel. 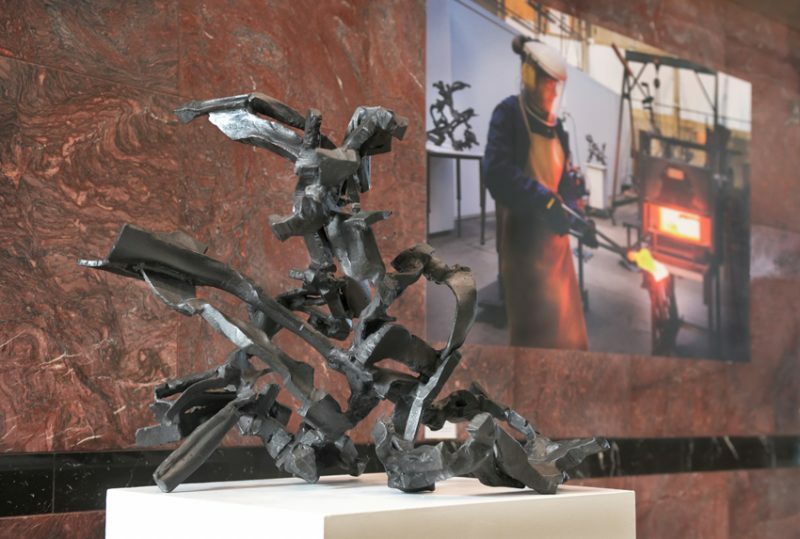 Sparks Fly, a major retrospective of her work, 1974 to 2018, is currently on show in the opulently-marbled lobby of One Canada Square until the end of February, showing the sculptural progression from the balance and weight of the early cut and welded sculptures into the physicality and sense of movement in later forged steel pieces. 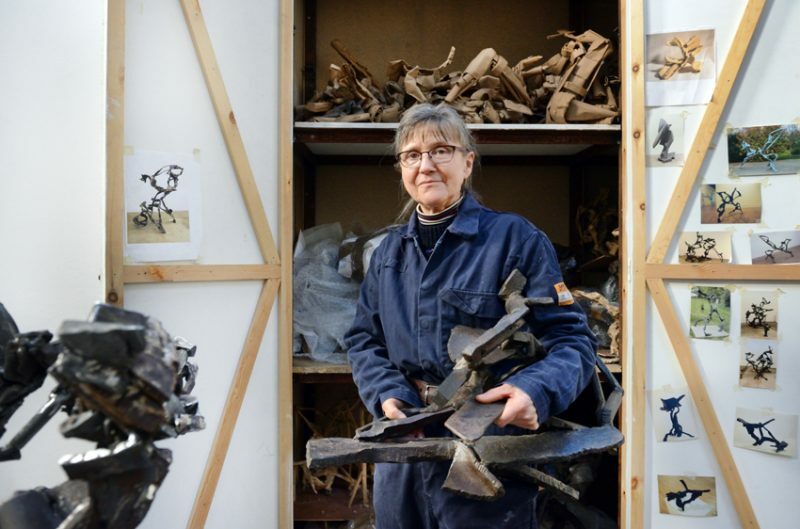 Katherine was elected a Fellow of the Royal Society of Sculptors in 1999 and awarded the Jack Goldhill Award for Sculpture in the Royal Academy Summer Exhibition 2013. 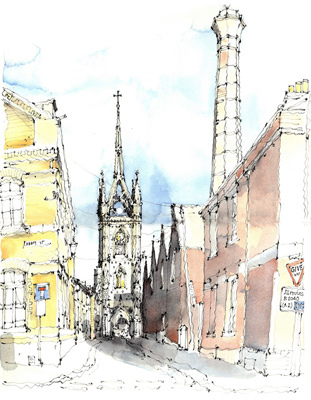 Her work is represented in the collections of the Arts Council of Great Britain; Bradford Museums and Galleries; City of Lugano, Switzerland and the General Electric Corporation in the United States. 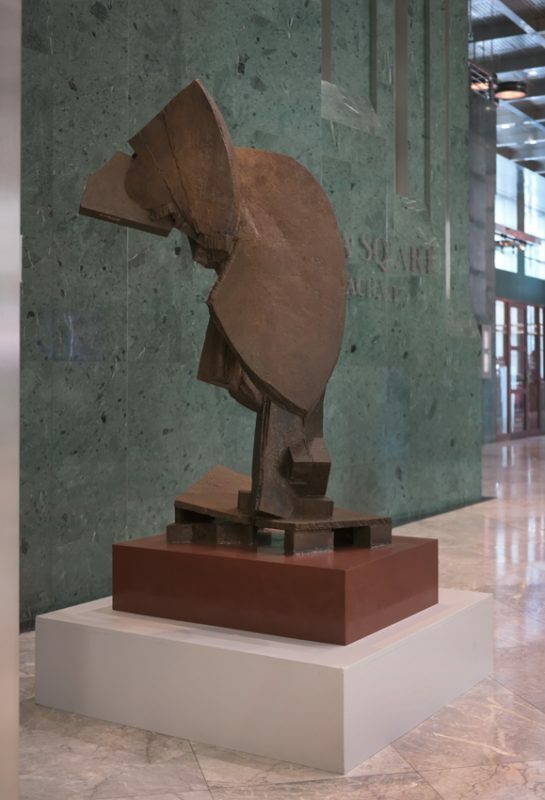 There are examples of her sculptures in private collections in Spain, Britain and the United States including the private collection of Lord Peter Palumbo at the Frank Lloyd Wright house Kentuck Knob, and the Leo and Eileen Herzel Collection. 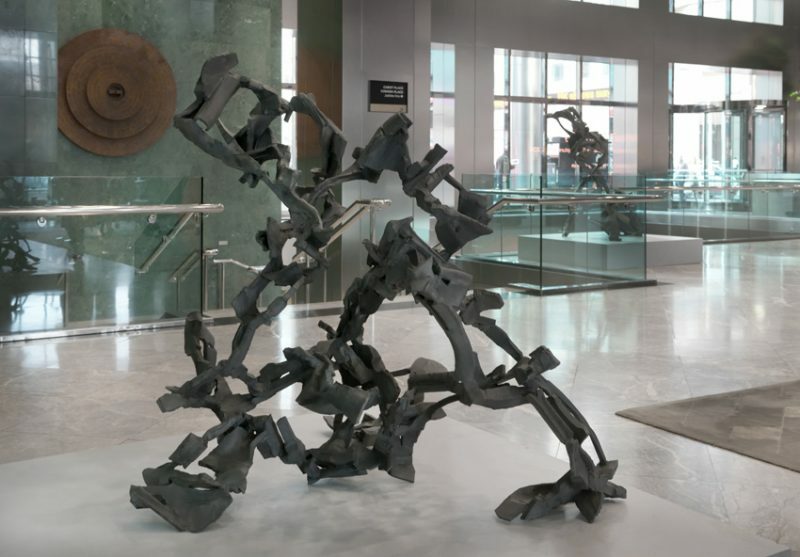 Her sculptures have been exhibited many times around the world. In 1995, she moved to Faversham. 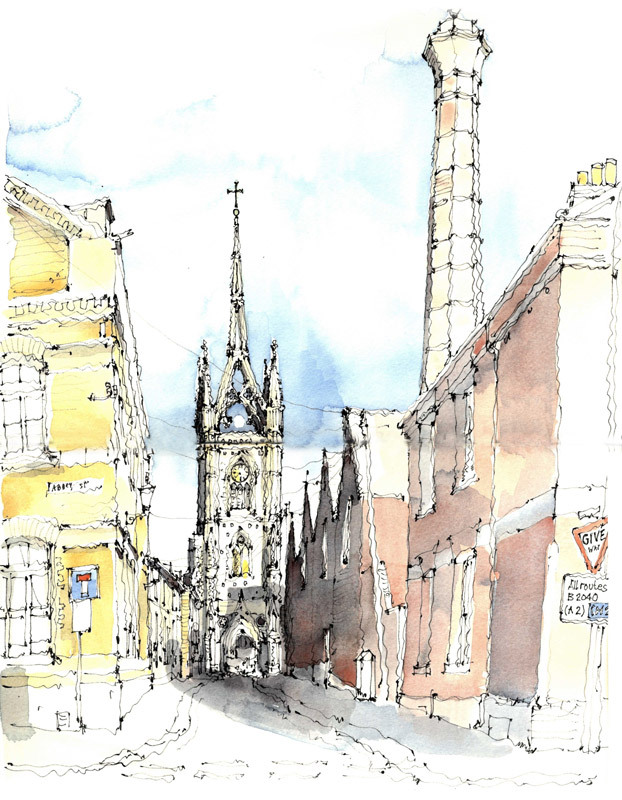 In 1966 at the age of 18, Katherine arrived at Bath Academy of Art with the idea of being a painter. As part of this foundation course, she was asked to make a head in clay and model it without using her hands. She used a stick, whacking and smacking it into shape and was suddenly excited by the physicality of working in three dimensions. By the third year, she was working in wood, steel and stone. 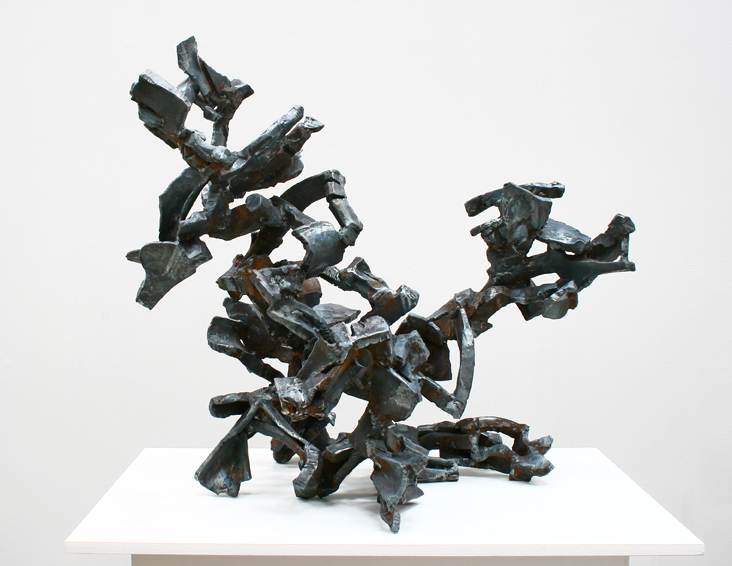 She moved to London to study at St Martin’s School of Art and started to focus on steel. Looking back at this path, she says: ‘These things are so instinctive; I was just following my nose.’ She moved from St Martin’s to Stockwell Depot, the only woman in a group of young sculptors who were soon to gain an international reputation for abstract art in Britain. At this point, Katherine was using sheets of steel – cutting, bending and welding. A film of Katherine working, which plays in a loop at the Canada Square exhibition, shows the absolute weight of the steel, its resistance to surrendering its intractability, the power of heat, and the energy as Katherine, in overalls and heavy boots, a visor to protect her from the gushing, flying sparks, pulls and forms the steel, transforming the inert bars and girders. 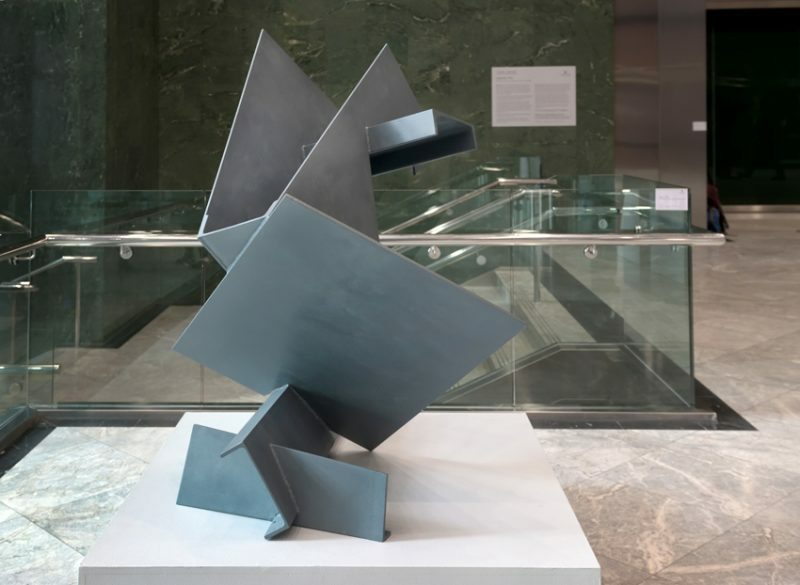 Katherine Gili and Ann Elliott, the curator of Sparks Fly, will tour the exhibition at One Canada Square on Tuesday 12 February, 6.30-7.15pm. 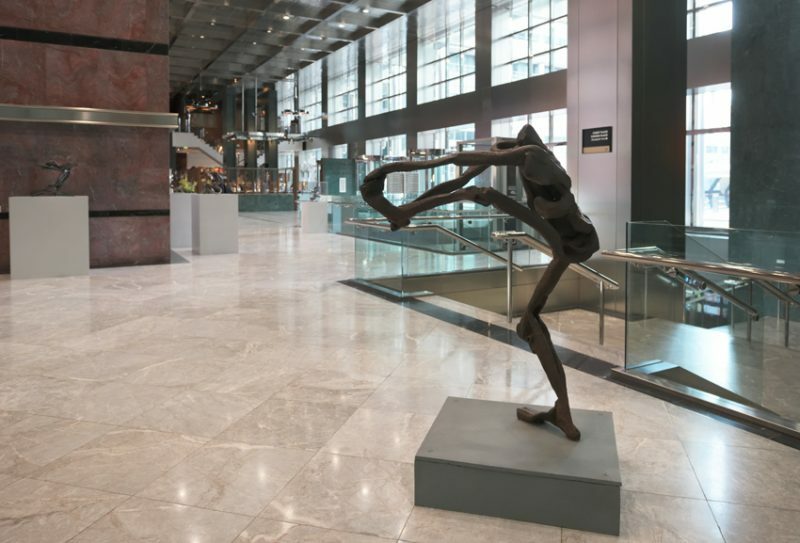 The tour is free but you should email publicart@canarywharf.com to reserve a place. 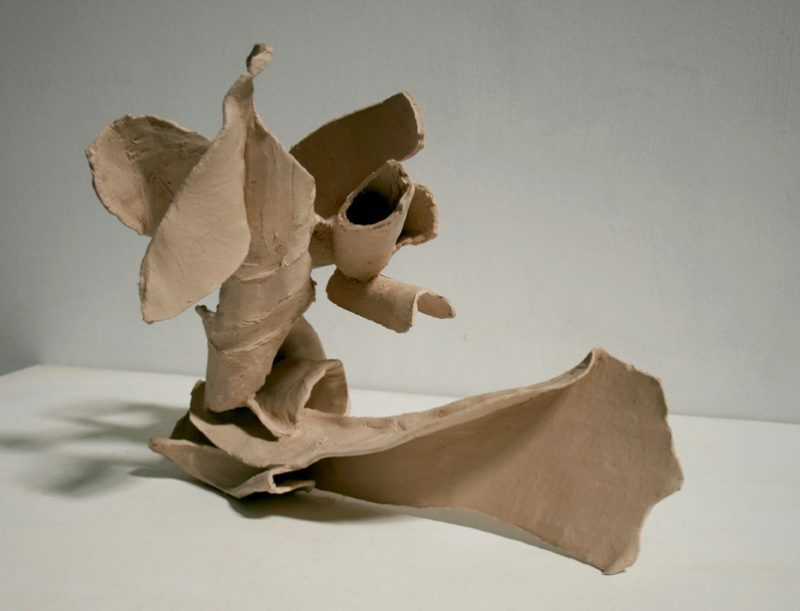 Katherine Gili’s work is represented by Felix & Spear.